Summer is flying by, Chicago! July is now over halfway done and if you haven’t had the chance to experience a craft beer event, this weekend is a perfect opportunity. Friday Night Flights continues downtown and Chicago Craft Beer Festival is joining with a music and garden event in Lincoln Park. Beer is not the only thing being highlighted this weekend. A Michigan Avenue art fest and a River North tasting event will be open to visitors of all ages. 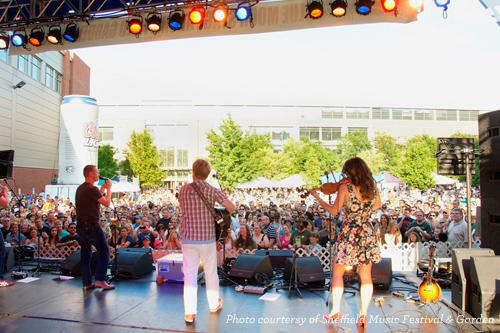 Add the list of events below to your calendar and don’t forget to check out our July list of festivals and August list of festivals to look forward to for the rest of the summer! Dreaming of Mexico? Cirque du Soleil is opening a creative, visionary production of waking up in Mexico, Luzia, beginning this weekend. From July 21-September 3, audiences are invited to escape to the beautiful imaginary country, located in the transformed United Center parking lot. On this surreal journey, phenomenal acrobatic performances will be both captivating and breathtaking. The experience will incorporate both traditional and modern culture, music, and architectural creativity. Buy your tickets to the first weekend&apos;s showing or look at their schedule of performances to pencil in your schedule! The brewery scene is expanding all over Chicago and Friday Night Flights has been able to highlight local breweries in these bi-monthly events. In the center of the city this Friday, three historic neighborhoods will share their phenomenal beers that they produce. In addition to a long list of options for beer, entertainment will be brought to you by The Original Chicago Blues All Stars. Have a laugh on the high seas (or just the calm Lake Michigan) this Friday. 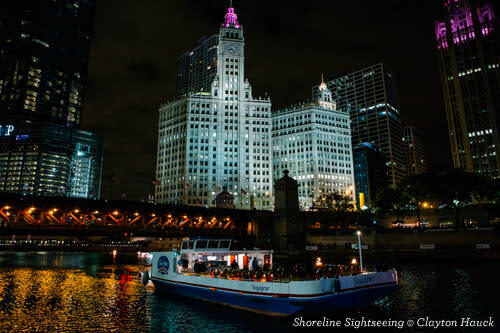 Shoreline Sightseeing Cruises and Zanies Comedy club have teamed up to host a comedic performance on a Chicago River boat ride. Not only will you get to revel in the city lights at night, but you will get to enjoy two popular comedians for an hour and a half with a drink (one drink included with ticket, cash bar also available). Make your way up north for another taste this weekend! 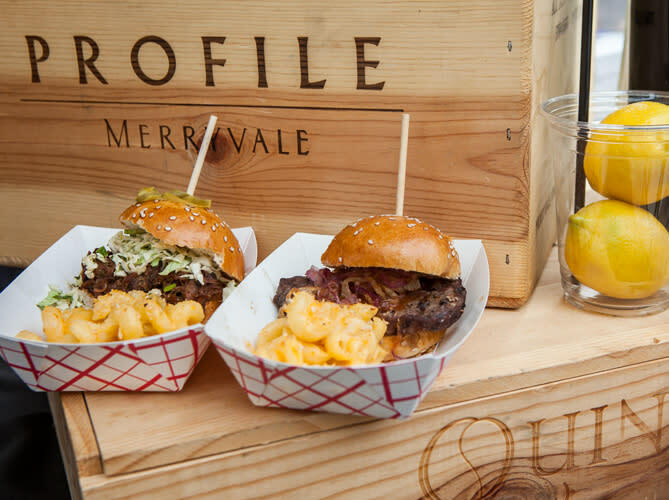 Highlighting the best dining in River North, this tasty festival will include local cuisines, but also craft beer and live music to energize the night. Ward Park is a beautiful location, sandwiched between the Chicago River and the iconic city skyline, to experience what is beyond the downtown loop. 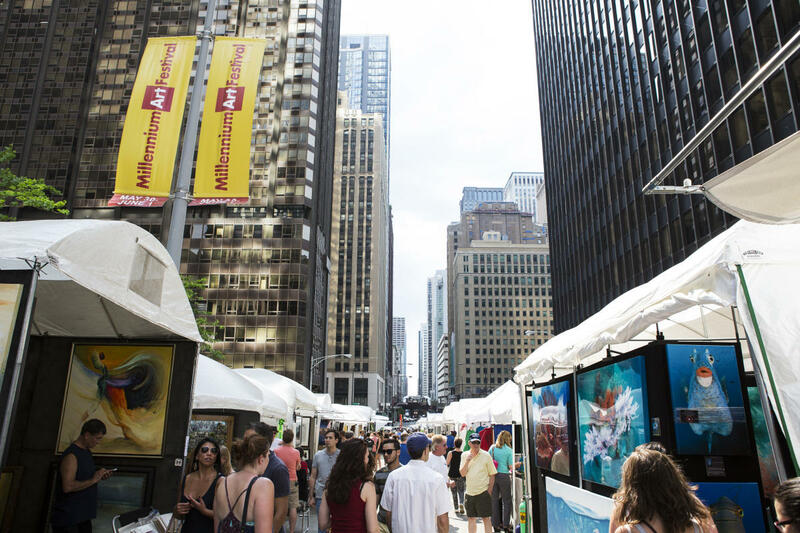 The Magnificent Mile, lined with upscale shopping and dining, will be setting up a fine arts celebration along its streets this weekend. Chicago is home to world renown art and this is a great opportunity to experience the talent infused into the city. Check out this free festival that welcomes diversified artists to showcase their work. 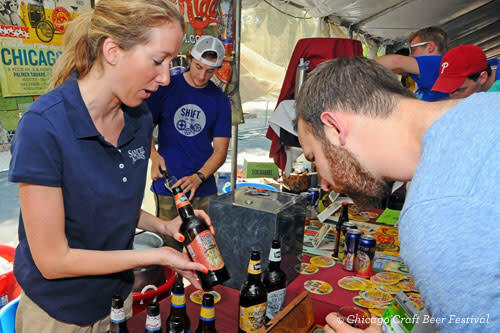 This summer, craft beer has stolen the spotlight at the countless events happening around Chicago. There are so many opportunities to sip on some of your favorite beers or try a new flavor at a brewery that you have never tried. With over 70 craft beers available from 25 local, national and regional breweries, samples will be perfect for you to get your variety. 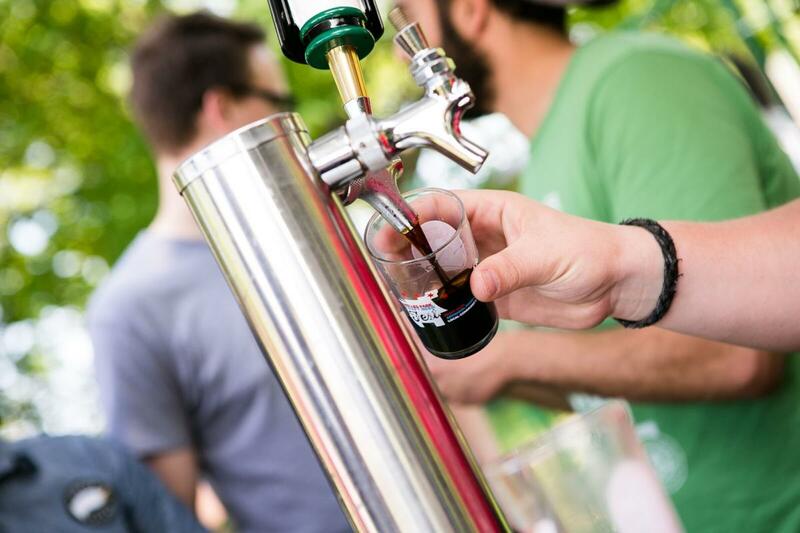 These afternoon tastings will be available for people who purchase the passes, so get your friends together to experience one of the many beer festivals in Chicago. Lincoln Park is having an eventful few days this weekend. In conjunction with the Chicago Craft Beer Festival, Sheffield Music Festival and Garden Walk will add yet another reason to make your way up north. Over 100 luxurious residential gardens will be highlighted, along with architecture tours to appreciate the beauty of this northern neighborhood. There will be two stages of music for entertainment and kid’s activities to reach an audience of all ages. Some other things to do this weekend in Chicago: get tickets to see Eugene O&apos;Neill&apos;s Ah, Wilderness centered on young romance (this show closes Sunday July 23); find MORE beer at the 3Floyds x Rick and Morty Beer Brunch at HQ Beercade; shop the Mag Mile and peek at Gauguin-inspired windows for Project Windows (this app will guide you); or experience live music on the lake at Navy Pier for free (July 21-23).